Collins Booksellers - Blessed Are the Weird by Jacob Nordby, 1230001336658. Buy this book online. Publisher: Manifesto Publishing House, Inc. This book is for highly sensitive people who have felt out of place in the modern world. It provides a narrative that describes how they fit into a lineage of creatives throughout history, and how their gifts are needed during this precise era of "new renaissance" on Earth. Expanding upon his short original “Blessed Are the Weird” piece that became a viral phenomenon, he traces the roots of soulful artistry and creation to ancient times and back again to reveal the insistent, eternal quest of our true natures that demands something real—as if our very existence depends upon it. This is a call to creatives (and those who want to be) with the clear message that it has never been more critical to heed the call of soul than it is during this exciting, dangerous new renaissance epoch on Planet Earth. Heartfelt and sometimes humorous, it lights a signal fire for all who feel out of place in the modern world and invites them to claim their heritage as members in an ancient lineage—those tenders of soul and beauty who have always kept the flame alive for humanity. This is a book for everyone who wants to lead a deep, true, and passionate life and leave the world better for having passed this way. 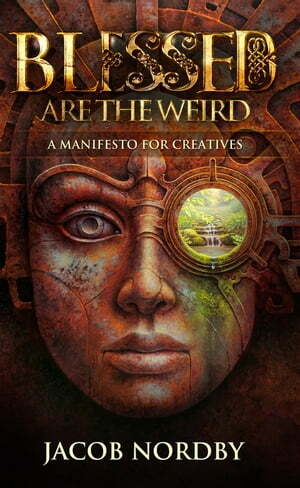 Blessed Are the Weird. Your time has come to define the new normal.